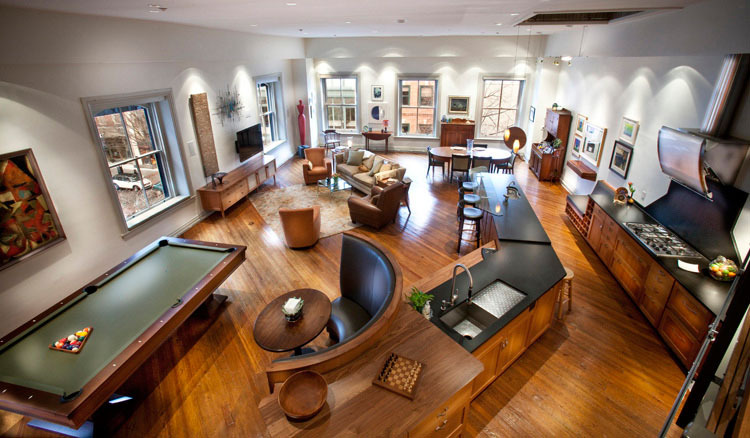 Built in 1868 and originally housing the Schultz Brothers Hat Factory, this historic center-city building now boasts spacious, upscale loft-condominium homes that reflect the best achievement in reuse of a mostly vacant upper-level space. Financed in part by Federal Rehabilitation Investment Tax Credits (RITC), the restoration of this prominent commercial building presented both challenges and opportunities as nails used for the Formstone placed over the original exterior brick walls in the 1950s corroded, making it impossible to salvage the bricks. 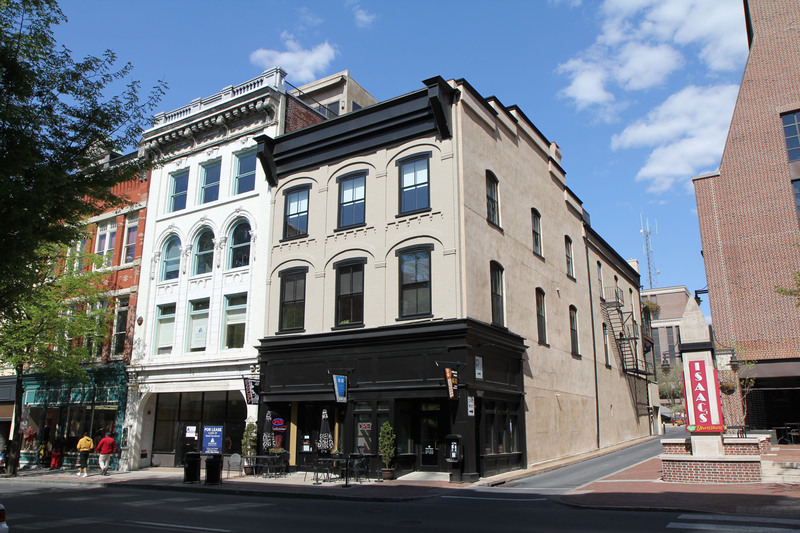 To solve this problem, we designed an alternative stucco finish that met with the PA Historical and Museum Commission’s approval. With living, family, dining and kitchen areas seamlessly combined in a spacious, inviting environment, the great room of the loft features original wood trim, flooring and windows with a gorgeous southwest exposure. A gourmet galley kitchen with natural cherry wood cabinets, walnut tops and black granite countertops provide the perfect setting for everyday meal prep, as well as entertaining. 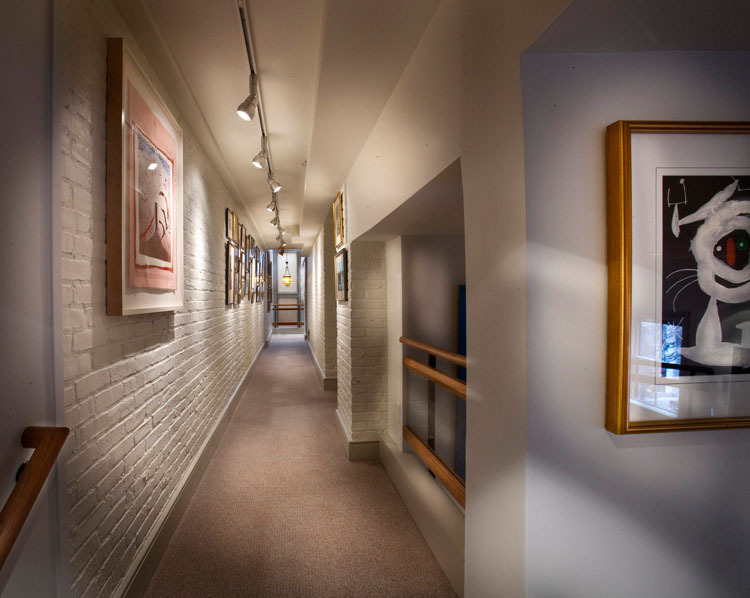 First purposed as a walkway between buildings, the loft corridor features original exterior bricks painted white to create a lighter ambiance and offer the perfect setting for an art gallery that connects the front and back of the home. A sunny morning place to enjoy a cup of coffee and a shady place for evening relaxation, the outdoor living area on the rear deck is the perfect escape from everyday stress. 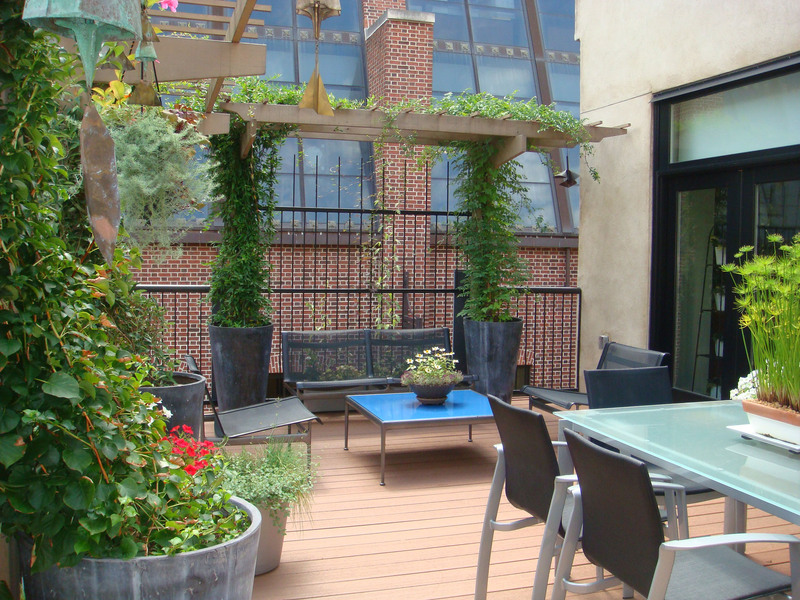 Trellises support lush green vines and containers provide a living border of foliage and flowers, creating a vibrant oasis within the city. 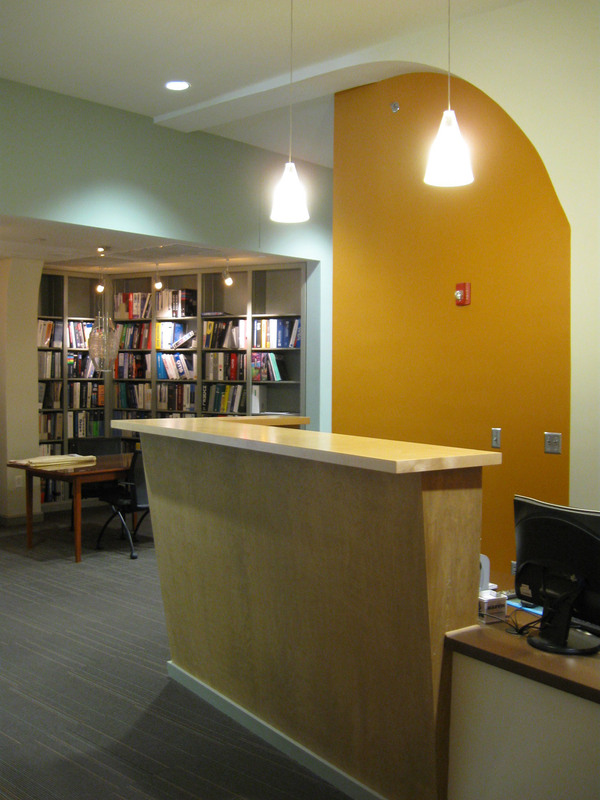 With its original high ceiling height and distinctive arch used as a design accent, this office reception area proudly distinguishes itself from modern commercial spaces. A built-in reception desk provides a visual screen for countertop office equipment while a wide wall cap offers a convenient display area. 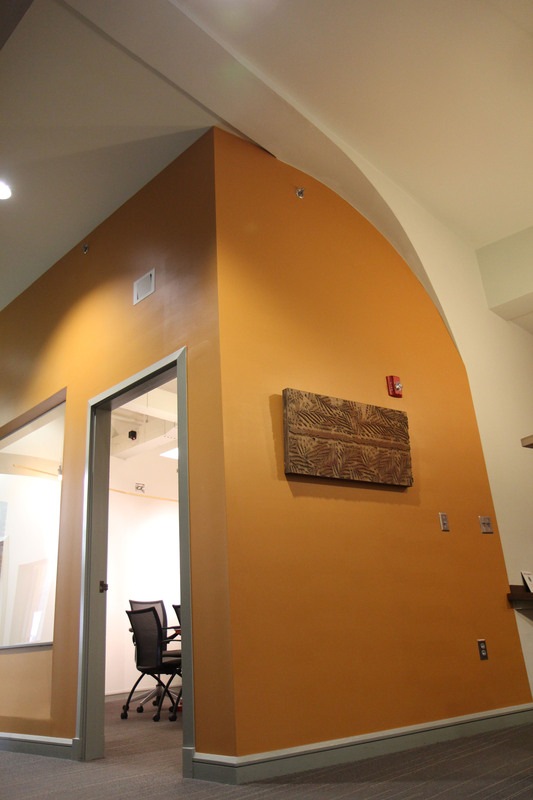 Drawing attention to the historic arch, an angled wall is painted to act as an accent outside the conference room. Historic baseboards and casings are interpreted in a simple, contemporary fashion while a large interior window transmits natural light.